Nightmare number four haunted him; it just felt so real that it still stings once he finished writing it down. He looked into space, his mind roaming around and remembering what he just saw. He shook his head, of course, it&apos;s just a nightmare, and it wouldn&apos;t come true, but he couldn&apos;t help but think of it. Louis closed the journal and kept it in the desk along with the pen attached to it. He locked it and laid back into the chair as he looked up at the lights in the room while remembering it. Shutting his eyes, he remembers small parts of the nightmare. It started off with Louis giving birth and then the next thing he knew was that his alpha was in love with someone else who couldn&apos;t bring children. Harry agreed to this marriage and pretended to like his Omega because he needed children to share with his mistress. Louis found out right after he gave birth when the nurse told him that his alpha left with his babies with another woman. That the Omega couldn&apos;t do anything about it because his alpha made him sign some papers claiming that it has something to do with the house décor. In reality, it was divorce papers along with agreeing that Harry could have the custody to their triplets. "He&apos;s pregnant with triplets, instead of one, we could have three, and he will be left with nothing but stretch marks." 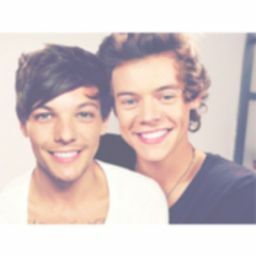 Louis whimpered unintentionally and opened his eyes with tears running down his cheeks. He feels so stupid and weak for crying over a nightmare that isn&apos;t even half true. The Omega decided to get up already and maybe go back to bed. He stood up, and the door opened to reveal a sleepy hair with messy curls in only his boxers. "Darling, what are you doing in the library so late?" Harry said as he made his way over to his Omega to wrap his arms around his waist and rest his head on his light hair. Louis shut his eyes and immediately wiped away his hot tears before his alpha could notice anything. He sniffled which made Harry look down at him with a worried expression and asked, "What&apos;s wrong? Hey, look at me," and cupped his cheeks while wiping away his tears. The Omega shook his head and leaned into his touch as he whispered, "I&apos;m fine, just drained, let&apos;s go to bed –"
"No, we&apos;re not going to bed until you tell me what&apos;s wrong. Let me carry you, first," and picked him up in his arms which made the Omega fear that he might be heavy because of his growing baby bump. Louis nuzzled into his neck and breathed in his scent with his arms wrapped around his neck. He didn&apos;t feel like talking, but he knew that his alpha would grow worried and anxious about him. Once they reached the bedroom, Harry laid him down in the middle of the bed and whispered, "Are the babies hurting you?" and rolled his omega&apos;s jumper up to leave kisses around his beautiful bump. Louis shook his head as he looked down at him fondly with tears still in his eyes. He wiped them away and cooed, "No, they&apos;re doing amazing, I&apos;m just..."
"You&apos;re just...?" Harry stopped what he was doing and looked up at him, waiting for a reply. The omega let out a sigh as he looked down at his baby bump and whispered, "Nightmares," and looked back at him nervously as he added, "But I got it under control, I&apos;m okay –"
"Since when did these nightmares start? I told you to tell me everything that&apos;s bothering you, Louis," The Alpha looked down at his sadly because he couldn&apos;t imagine what his Omega has been going through without telling him. Louis crossed his legs to get comfortable and looked around before his eyes landed on his alpha. He whispered, "After the accident," and immediately began to explain himself, "I-It&apos;s not your fault, I swear, it&apos;s not. I am just so scared for our babies –"
Harry interrupted him for the millionth time that night, "Talk to me about your nightmares, wake me up, we will talk all night and I don&apos;t care how long, I can take it." 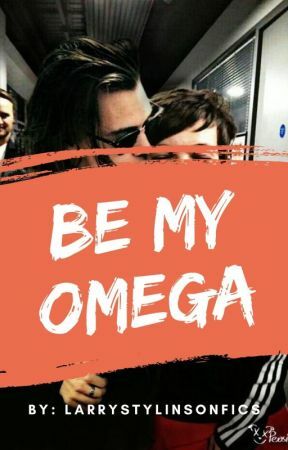 He uncrossed his omega&apos;s legs to get in between them and added, "I am always here for you, no matter what," and kissed him softly which made the Omega relax a little. When they both pulled away, Louis looked into his alpha&apos;s green, calming eyes which made his heart beat out of his chest. He knew that he was too in love to oversee those nightmares because they weren&apos;t real, his alpha right here was the only thing that was real. Louis spent the entire night talking about his dreams one by one and about the fact that he kept a journal through it all to make him feel better. He talked about how he wasn&apos;t able to sleep and kept on apologizing because he felt like a bad omega for keeping this from him. Harry would keep on reminding his Omega that there was no way in hell that he has a mistress when he could have him instead. "Honey, it&apos;s like you&apos;re telling me that I would replace a diamond ring with trash, you know I would never." Louis would finally giggle and let out a smile with the crinkles in his eyes which made his alpha smile fondly at how perfect he is. Harry spooned him and rubbed over his omega&apos;s baby bump slowly while whispering soothing things in his ear until they both fell asleep peacefully in each other&apos;s arms. The next day, Harry woke up first, he decided that it would be a good idea to go downstairs and make breakfast for his lovely omega. First, he went to the toilet, brushed his teeth, did his business, washed his hands and went downstairs to the kitchen. Once, he was done, he got into the room, and Louis was still fast asleep. He set the tray next to the sleeping boy on the nightstand and whispered, "Baby, wake up," as he kissed up and down his delicate shoulder. Louis blinked his eyes open and felt goosebumps rising all over his body from his alpha&apos;s kisses. He whined with an adorable pout, "Harry, want to eat tomorrow," and shut his eyes again. Harry chuckled and said, "But I made breakfast," then poked his nose with his omega&apos;s pointy ones and whispered, "You&apos;re so pretty when you sleep." Louis opened one eye while looking up at him and then hid his face in the pillow as he said tiredly, "Only if you feed me." "Deal," Harry said with a smile as he stood up immediately to keep the tray on his side of the bed and then watched as his Omega crawled into his arms. Louis sat down in between his legs with his eyes still shut then opened his eyes wide with a gasp as he felt his babies kicking. He looked down at his baby bump while rubbing over it and whispered, "Babies, Mommy just woke up, let&apos;s tone it down a bit." Harry kissed his neck as he rubbed over his baby bump and cooed against his exposed neck, "They probably miss hearing your voice." Louis blushed and changed the subject as he said, "Feed me?" and looked up at him innocently with his blue, ocean eyes along with his dark, long eyelashes.